Your website is more than just your business brand online, it's a potential lead generating powerhouse. Get your Free 47-Point Checklist Now! 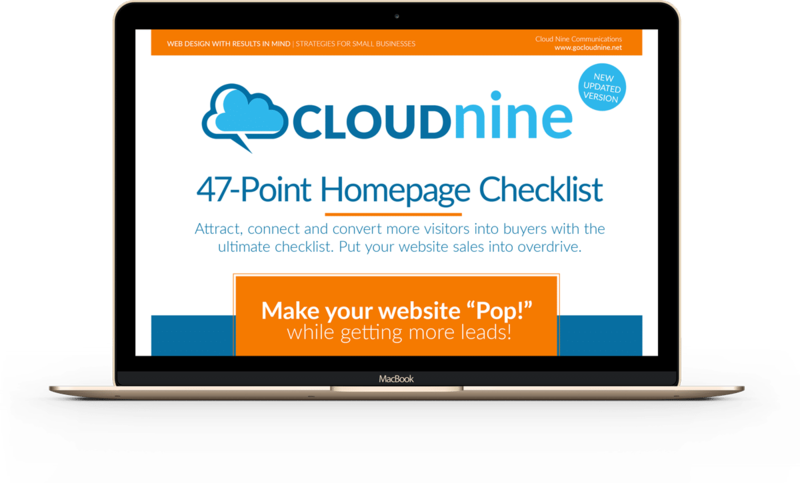 IMPORTANT: As an added bonus for downloading this checklist, you will also get access to the Cloud Nine Communications newsletter which contains helpful tips, bonus content and exclusive offers to help you turn your website into a profitable, lead-generating, marketing tool for your business.